Do You Vomit When You Smoke Pot? Here's Why. If you experience nausea or vomiting after smoking marijuana, it may be cannabinoid hyperemesis syndrome. 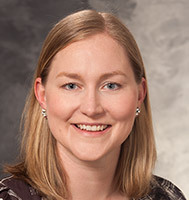 UW Health emergency medicine physician Marin Darsie, MD, explains. Cannabinoid hyperemesis syndrome (CHS) is a condition affecting regular marijuana users which involves recurrent episodes of nausea, vomiting, and crampy abdominal pain. While the episodes generally last 24-48 hours, the symptoms tend to be very severe and lead to dehydration and even weight loss. Patients with CHS often say the only thing that makes them feel better during these times are hot showers, but this is temporary. The episodes stop when patients stop using marijuana completely. What are the symptoms of cannabinoid hyperemesis syndrome? How long does the vomiting from cannabinoid hyperemesis syndrome last? Most episodes last 24-48 hours, but they recur by definition and the length of time between episodes of nausea, vomiting, and abdominal pain can range from days to months. How do you treat cannabinoid hyperemesis syndrome? The most effective long-term treatment is not using marijuana. During an episode of vomiting, the core treatments are IV fluids, intramuscular or intravenous haloperidol (Haldol), and capsaicin cream applied to the belly. It is counter-intuitive, but narcotic pain medications should be avoided as they can worsen the nausea and vomiting. Experts do not fully understand why these medications are effective, while other more traditionally accepted pain and anti-nausea meds are not effective. How to get rid of or cure cannabinoid hyperemesis syndrome? The only way to cure cannabinoid hyperemesis syndrome is to completely stop using marijuana. It can take several weeks of no use before the periods of vomiting stops, perhaps because some of the marijuana is stored in body fat. I thought marijuana was a treatment for nausea, how can cannabinoid hyperemesis syndrome be caused by marijuana? Research is ongoing regarding the exact cause of CHS, but it is likely due to the reactions of the more than 100 active compounds in marijuana. Some of these cannabinoids trigger receptors in the brain reducing nausea, whereas others trigger receptors within the stomach, gut and intestines which seem to promote vomiting. Furthermore, in animals, one THC metabolite (cannabidiol) has been shown to have an anti-nausea effect at low doses and at higher doses stimulates vomiting. Experts believe that periods of vomiting are caused when there is a loss of balance between the anti-nausea and pro-vomiting properties of marijuana within the body. Because of confusion regarding this issue, many CHS sufferers actually increase their marijuana use thinking that it will reduce their nausea and vomiting, but it only makes the problem worse. Will everyone who smokes marijuana develop cannabinoid hyperemesis syndrome? No. Cannabinoid hyperemesis syndrome was first recognized in Australia in 2004, and initially it was thought to only rarely occur among people with several years of heavy marijuana use (up to 3-5 times daily). However, the number of cases of CHS seems to be increasing and more recent studies have found some cases of CHS have occurred in people who have been using marijuana heavily for less than a year and others who only use marijuana weekly. The authors of one recent study estimate that as many as 2.75 million Americans who use marijuana on a near daily basis suffer from CHS. The rising numbers of CHS are not fully understood, but may be due to increasing awareness of the condition, increasing use with the legalization of marijuana, and/or the increasing potency of marijuana. In the early 1990s, marijuana had an average of 3.8 percent THC or tetrahydrocannibol. As of 2015 in Colorado where marijuana has been legalized, some strains containing nearly 30 percent THC are available in marijuana dispensaries, though the average THC content is 17.1 percent. Experts still don’t know why CHS only affects some regular marijuana users and not others. Is cannabinoid hyperemesis syndrome permanent? Once a patient has developed cannabinoid hyperemesis syndrome, avoiding marijuana is the only known cure. Patients who have had CHS will almost always have symptoms if they start using marijuana again. Can you die from cannabinoid hyperemesis syndrome? In general, cannabinoid hyperemesis syndrome leads to dehydration and the other health consequences (e.g. acute kidney injury, electrolyte abnormalities) stem from the dehydration. While it is theoretically possible, a severe electrolyte abnormality could lead to a life-threatening abnormal heart rhythm, it would be very rare. Are cyclic vomiting syndrome and cannabinoid hyperemesis syndrome the same thing? There is definite overlap between cyclic vomiting syndrome and CHS. Cyclic vomiting syndrome can occur in patients who don’t use marijuana and there is no clear improvement when cyclic vomiting syndrome patients abstain from marijuana. Also, cyclic vomiting patients are more likely to have a personal or family history of migraines and have a reduction in their cyclic vomiting with use of preventative medications. How difficult is it to quit using marijuana after heavy use? Daily smokers of marijuana are more likely to exhibit withdrawal symptoms upon quitting than casual users. Withdrawal symptoms include insomnia, irritability, anxiety, and increased drug cravings. As many as 30 percent of patients who attempt to quit on their own, will relapse due to marijuana withdrawal symptoms. Using cognitive behavioral therapy and outpatient drug rehabilitation programs can improve chances of long-term success of not using marijuana. If you need help quitting marijuana, see your doctor or visit www.drugabuse.gov/patients-families.